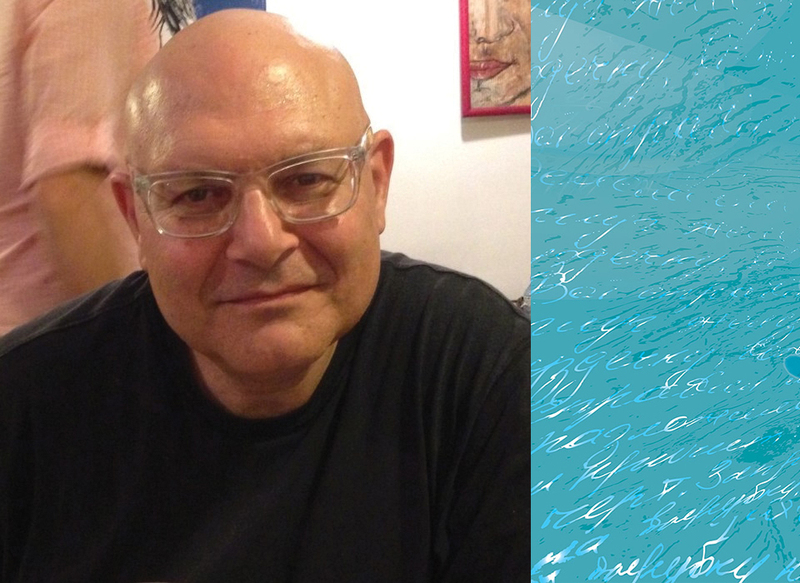 Lawrence Venuti is a leading translator of modern Italian and Catalan literature and internationally one of the most influential theorists in the field of literary translation. In their recent interview, Peter Constantine asked him about his craft and theory of translation. 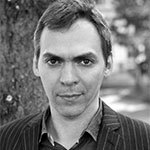 Peter Constantine: Many literary translators come to translation in unexpected ways. What were your first steps? Lawrence Venuti: My start mixed serendipity and fate, I suppose. As the grandchild of Italian immigrants, I grew up in a bilingual setting and quickly saw languages as things you move between—in my case, English and southern Italian dialects. PC: Which southern Italian dialects? LV: My father’s parents were Sicilian, my mother’s Pugliesi. But the dialects were just Italian to me. I couldn’t grasp the differences till much later, when I began to study the standard dialect, Tuscan. Nonetheless, as the child of working-class parents, I learned that every language was more than one as I moved between different registers and dialects of English, including those spoken by different social classes. By the time I attended secondary school in Philadelphia (1966–70), a private Jesuit institution where I studied Latin for four years and French for two, I was primed for translation as well as language learning. In fact, they always went hand in hand for me. PC: When did you first give thought to translating literature? LV: The idea of producing a literary translation, a work that derives from a source but can stand as a text in its own right, didn’t actually dawn on me till I entered a doctoral program in English literature at Columbia in 1974. I decided to study Italian to satisfy the foreign language requirement. I took what is still called a course in “rapid reading and translation” to prepare for a translation exam, and so I learned Italian painfully, using a grammar and a dictionary to read literary texts. The instructor offered to assign a grade if students submitted a translation, and I took the bait, choosing to translate a story by Pirandello. That project, my very first, proved decisive. It contained errors, inevitably, and I didn’t revise and publish it till some thirty years later. But I was hooked and began to translate modern Italian fiction and poetry when I should have been writing my dissertation on seventeenth-century English poetry. PC: What were your next steps? LV: Opportunities to publish my work deepened my commitment to translation, and since I was living in New York City I met older, more accomplished translators who became mentors. In 1977 I answered a notice in Poets & Writers magazine that called for submissions to an anthology of Italian poets under forty. I received a response from the editor, Ruth Feldman, who sent me more poems to translate and examined my translations with a precision and sensitivity I hadn’t yet experienced. PC: What was this anthology called? Can you mention a few poets who were in it? LV: Italian Poetry Today: Currents and Trends, published by St. Paul–based New Rivers Press in 1979. It turned out to be a glimpse of the current scene, ranging from older modernists like Piero Bigongiari to representatives of the neo-avant-garde like Edoardo Sanguineti and Antonio Porta. Among the poets Ruth Feldman sent me was the Milanese Milo De Angelis, who would eventually become important for my work. PC: What were the first prose translations you published? LV: Around the same time, I had translated a story by Calvino and tried to publish it in Antaeus, a magazine that often featured William Weaver’s versions of Calvino’s writing. The editor declined, suggesting that I should first contact Weaver. So I did and we met, he commented on my translations, and he ultimately recommended me as a translator for a contemporary Italian novel that Farrar, Straus & Giroux had acquired: Barbara Alberti’s feminist satire, Delirium (1980). PC: That is a remarkable beginning. LV: What else but audacity born of ambition had driven me, a rude beginner, not just to take on a canonized writer like Calvino but to interfere with the obviously fruitful relationship he had developed with his translator? By that point, I did not simply see myself as a translator. 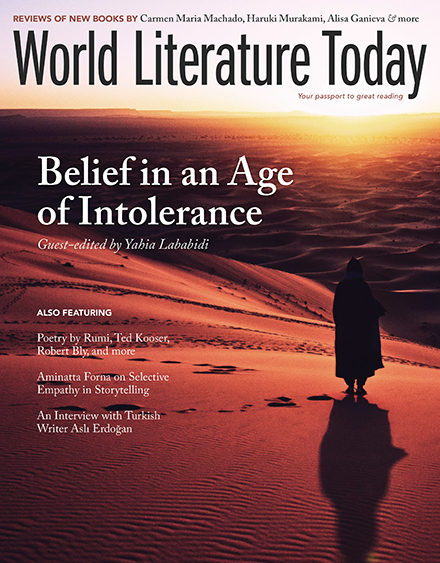 I was translating full throttle, I was caught up in relationships with translators from different languages, and I was attending readings and events at organizations like PEN American Center, where distinguished translators like Weaver, Richard Howard, and Gregory Rabassa would speak about their work. PC: Weaver, Howard, and Rabassa are indeed iconic translators. Did you have other mentors as well? LV: Apart from Feldman and Weaver, I was being guided by recent foreign imports, especially in fiction. I had read widely in anglophone narrative traditions, mainly British and American, and this background was being challenged by the Latin American Boom, which I was discovering from the mid-1970s onward. Writers like Jorge Luis Borges, Julio Cortázar, and Gabriel García Márquez nurtured my taste for varieties of experimentalism, and so I gravitated toward Italian fiction that ran counter to the realism that has dominated English-language narrative. I discovered the fantastist Dino Buzzati, whose stories I began to translate, eventually publishing two selections with North Point Press: Restless Nights (1983) and The Siren (1984). PC: Did the Buzzati projects have the same importance for your work as translating Milo De Angelis’s poetry? LV: No, they were actually quite different. My approach to Buzzati was primarily intuitive, guided by the informal schooling I had received from my mentors as well as my own sense of English prose style as imprinted by Buzzati’s Italian. I saw almost immediately that Buzzati required the utmost fluency, an easy readability that was at the same time lively in lexicon and syntax so as to support the sort of realistic effect he aimed to give the most fantastic incidents. PC: Did De Angelis’s work require a different strategy? LV: De Angelis’s poetry resisted fluency. Dense and discontinuous, filled with edgy scenes that reflected ideas drawn from European philosophy, it was like nothing being written then in the US or UK. I struggled to understand what De Angelis was doing, the notion of translation as an interpretive act unavoidably imposed itself, and as rejections from magazines and publishers accumulated over two decades, I was forced to become much more critically self-conscious than with the Buzzati projects. The intuitiveness didn’t end, it never does in translation—serendipitous choices always proliferate. But to make the poems work as poems in English I had to consider the Italian texts not only in terms of the literary debates in Italy, at once philosophical and political, but also against the belated Romanticism that prevailed in anglophone poetries. In a word, my translation practice had grown theoretical. The intuitiveness didn’t end, it never does in translation—serendipitous choices always proliferate. PC: Many young translators study your theoretical works and use your Translation Studies Reader as a theoretical guideline. What is your advice to young translators as they put pen to paper to translate? What should they try to keep in their translation? LV: I would be careful of using words like “keep” or “preserve,” “reproduce” or “transfer” to describe to them what translation is and does. I avoid those words entirely, despite their seemingly positive resonance, just as I question pejoratives like “loss,” “infidelity,” and “distortion.” They all assume a particular way of thinking about translation that emerged in antiquity and has prevailed ever since: the idea that translation aims to convey some invariant contained in or caused by the source text—an invariant form, meaning, or effect. The invariant is a hoax. We have long believed that any text can support multiple and conflicting interpretations, depending on the experiences and assumptions that readers bring to their reading and on the sites where they read, whether institutions or more informal communities. When will we bring this understanding to our thinking about translation? The most important advice I can give to a translator is to insist that translation is an act of interpretation that inevitably varies source-text form, meaning, and effect. The most important advice I can give to a translator is to insist that translation is an act of interpretation that inevitably varies source-text form, meaning, and effect. This isn’t the same as saying “anything goes.” No, variation is fundamental, prior to any conscious decision to manipulate or transform because of the linguistic and cultural differences that require translation in the first place. Every translator is also bound by concepts of equivalence that can themselves vary across institutions and communities as well as across historical periods but that nonetheless form part of the ethical responsibility of translating. Anything doesn’t go if translators wish to respond to the cultural traditions and values, developments and debates that inform the moment when they are translating. Translators should imagine their work as establishing a relation not only to the source text but also to the receiving culture. They need to immerse themselves in their particular cultural situation, to know and evaluate it, to take a position in relation to it. PC: As translators strive to establish a relation with both their source text and their receiving culture, what approach should they take? Should they emphasize the foreign, or “domesticate” their translations and make them sound as if they were originally written in the language they are being translated into? LV: I must say straight off that translation by definition is domestication: the translator rewrites the source text to make it intelligible and interesting to readers who speak a different language and live in a different culture, and that necessarily means assimilation. Still, translators have a broad spectrum of forms and practices at their disposal, even if most are affiliated with the receiving culture. Some are dominant in the sense that they enjoy greater value and wider circulation than others that remain marginal or less familiar for whatever reason. When a translator chooses to work with the latter, the translation can seem foreign to readers who are willing to read it as a text that is relatively autonomous from the text it translates. PC: How can a reader perceive the foreignness in a translation? LV: Reading with a sense of previous encounters with foreign literatures is the first step. A translator can decide to translate a source text that runs athwart patterns of selecting texts from a particular source language as well as from original compositions that have been canonized in the translating language. The mere choice of a source text can seem strange, changing the way readers understand a foreign literature. A stunning example would be the discovery of Robert Walser in English. Christopher Middleton published the first translations of Walser’s fiction, first in the late 1950s, just after the Swiss writer died, and then in the late 1960s, but it took almost forty years for Walser to become recognized as a canonical figure in English, ranking in importance with Kleist and Kafka, Musil and Hesse. Imagine how unusual Walser must have seemed in those first translations. A translator can also decide to translate a source text by using a strategy that is marginal or less familiar. Richard Pevear and Larissa Volokhonsky have taken this approach with the classic Russian novel, starting with Dostoevsky’s The Brothers Karamazov in 1990. Their strategy, at once writerly and closer to the Russian text, mixing archaism and current standard English, amounted to a completely new interpretation of this novel, departing noticeably from the translations that had gained dominance from Constance Garnett onward. PC: So the reader isn’t actually gaining direct access to the foreign? LV: No, it is always indirect, or rather it is always mediated by factors in the receiving culture. Translation never gives back the foreignness of the source text directly or intact. The foreign is a construction, a foreignism, which depends on previous translation patterns, traditions of translation practice, and literary traditions in the receiving culture. Any sense of foreignness is an effect achieved by various means, which don’t make the translation less readable but rather give new kinds of pleasure. I see a foreignizing effect as an ethical imperative for translators: insofar as translation traffics in the foreign, it ought to resist assimilation to dominant values in the receiving situation and somehow register linguistic and cultural differences. Foreignizing shows respect for the source text and culture, although only by signifying differences that constitute literary innovations. I see a foreignizing effect as an ethical imperative for translators: insofar as translation traffics in the foreign, it ought to resist assimilation to dominant values in the receiving situation and somehow register linguistic and cultural differences. PC: What are your current or upcoming translation projects? LV: I am completing a translation of surrealist prose poems by the Catalan writer J. V. Foix (1893–1987), a hugely influential figure in bringing the European avant-gardes to Catalonia. My focus is the period before the Spanish Civil War, when Catalans looked abroad for cultural resources to revitalize Catalan art and literature. The project involves editing as well as translating: I am selecting a range of Foix’s texts, not only the poems themselves but also his narratives and essays, to evoke a heady moment when experimentalism was at once cultural and political, cosmopolitan and nationalist, radically democratic and shaped by social and gender hierarchies. Foix’s surrealism transforms the French movement by bringing it to bear on Catalan issues and traditions, demonstrating the immense value that translation can hold for a minor literature. In English, however, his work remains practically unknown so that the impact of my project is difficult to predict. Although (or should I say because?) Foix represents a largely unread chapter in the history of modernism, the translation has already received rejections by a number of US publishers. Yet in a poetry scene that has absorbed various experimental practices, where forms of discontinuity and surrealism have become so mainstream as to be championed by an opinion-maker like poetry critic Stephen Burt, perhaps a translation of Foix’s prose poems can be sufficiently estranging to provoke a cultural reconnoitering, a recognition of what we have missed in English and an assessment of what anglophone poetry currently lacks. Translation, especially with humanistic texts, should never be business as usual. Editorial note: For more, read Venuti’s translation of a flash fiction by J. V. Foix.